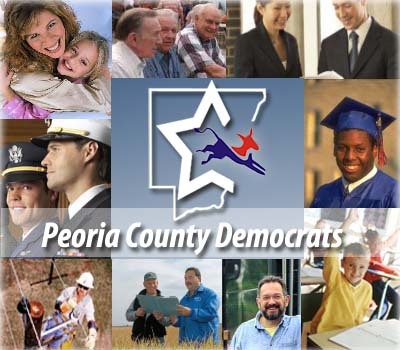 The Democratic Party of Peoria County aspires to be an effective grass-roots political organization and is open to all residents of Peoria County who publicly declare that they believe in the ideals and principles of the Democratic Party. The Peoria County Democrats will continue to offer a responsible vision of unity and growth, as opposed to a divisive approach that protects only the status quo. The Democratic Party invites all citizens to embark upon the journey toward a better future. Together we will capitalize upon the talents of everyone to realize a better tomorrow for all families. Secretary: C.J. Higgins | Email C.J.